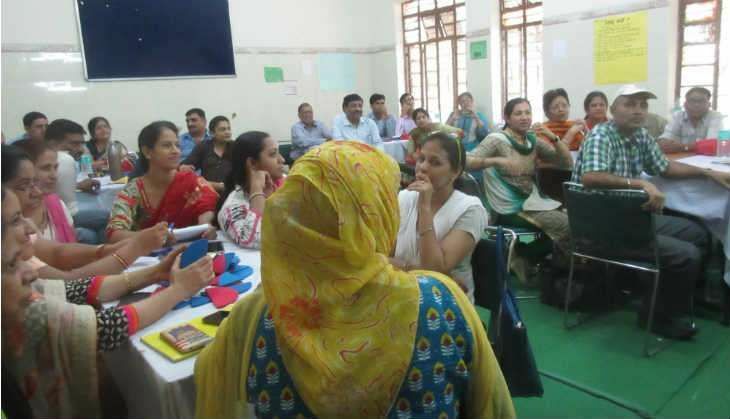 Around 400 teachers of Hindi are attending a special workshop at a government school in Delhi's Kishanganj. The teachers, spread across 10 batches (each in a different classroom), sit in groups of five. Together with their mentors, the teachers brainstorm on how best to create learning material and to improve activity-based learning. As the day progresses, a man walks into the school. He enters a classroom at random and begins to address the teachers. "Do you know why are we conducting this workshop?" he asks, catching everyone's attention. The class of 40 teachers murmur among themselves. "For the benefit of students," says one. "So that we learn and then teach well," says another. The mentors smile and make way for the speaker. They know that this man is Shailendra Sharma, principal advisor, Directorate of Education, Delhi Government. Sharma played a crucial role in executing the mammoth teacher training exercise, undertaken by Delhi's Aam Aadmi Party (AAP) government. The government is currently in the process of creating Supplementary Learning Material (SLMs), aimed at making the curriculum of Classes 6-8 more interesting and engaging for students. The material for the SLM will be created by about 24,000 government school teachers (TGTs) during the training sessions. The workshop at the Rajkiya Pratibha Vikas Vidyalaya (RPVV) in Kisanganj, near Pratap Nagar, where Sharma is addressing the teachers, focuses on the subject of Hindi. The workshops, launched at nine venues across north Delhi, will develop material in Hindi, English, Maths, Science and Social Science. Sharma tells the gathering that the material development exercise will include discussions and exchange of ideas. Teachers will brainstorm to come up with engaging ways to teach the syllabus in a manner that children find interesting, he says. The teachers, mostly middle-aged, each with at least 10-years of experience, nod in agreement. By now they have understood that Sharma is a senior official who is inspecting the progress of the workshop. "These centres are so far from our homes and schools. It takes me two hours to just to reach - overall more than four hours to travel. I like the workshop, but can't we conduct them nearby?" a female teacher asks. The class erupts in laughter. The mood is light. The teachers, uninhibited, launch into a no-holds- barred feedback session. They speak freely speak about irregularities in school. "My school has locked up three rooms just to store objects, most of which are insignificant. And here I am with my students, sitting outside or in the corridors. This is so unfair! We can't even complain to the principal," says one outraged teacher. Sharma moves on to the other classrooms, where the same series of events plays out. Teachers in each batch seize the opportunity to talk to a senior government official and lament the shortcomings of the system. "There is at least one differently-abled child in my classroom every year," says Archana Ladla, Hindi teacher at Sarvodaya Kanya Vidyalaya, Uttam Nagar. "This year there are two. I tried to spend some time with them after school. I called their mothers. One has been able to cope up. The other one..." the words hang heavy. "Some people beat up the mother when she was pregnant. Isn't there something more we can do?" she asks Sharma. On his part, Sharma pays close attention to the teachers' grievances. He asks questions, corrects facts and takes note of every genuine complaint. 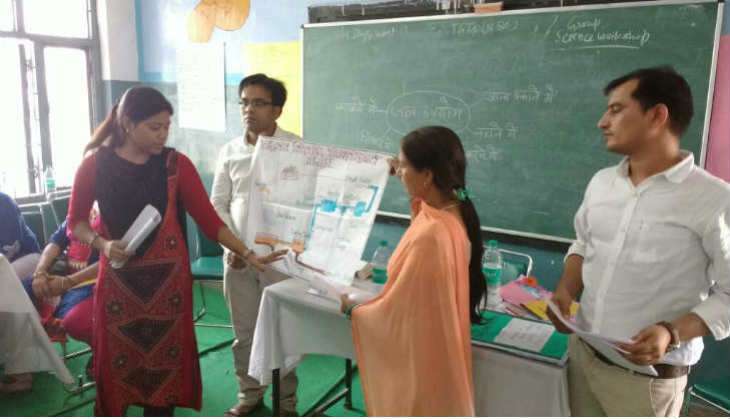 A group of teachers has created supplementary material for a chapter in the Class 7 Hindi syllabus. The subject? Freedom fighter Veer Kunwar Singh. The teachers have come up with a few rhymes and pictorial presentations of the freedom fighter. "But why will student look at more reading material? They already have enough to read," asks Sharma. "Children identify with rhymes. It helps them learn better," the teachers chorus. "This won't work," Sharma argues. "It will, when executed in small groups," the teachers tell him. "We create groups of four students. We ask each group to come up with their own rhymes and other interesting facts about Veer Kunwar. Our book will be their reference point," says Ravi Kiran, Hindi teacher at Government Girls Senior Secondary School, Janakpuri. "This way, we focus on peer learning, activity-based learning and innovative thinking. Each group of students will be responsible for a performance on Veer Kunwar. Now, they have to refer to the textbook to think out of the box," he adds. In another classroom, the teachers engage in a heated argument over the no-detention policy. "We are working at the ground-level. Policy makers have no idea what kind of difficulties we face on a daily basis. The child knows, no matter what he does - be absent or bad-mannered - he'd still be promoted. He's misusing the system. Moreover, it's so difficult to teach anything to the students when they haven't studied the previous years' content. No-detention should be stopped immediately. The CCE system makes so senses," one group argues. "No-detention was introduced to reduce school drop-outs. 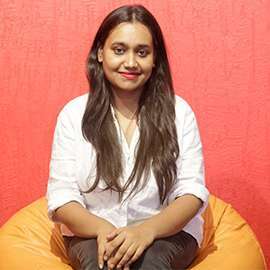 If we take it out, children will start dropping out of school again," says Sharma. The teachers argue for a while, finally concluding that strengthening the education system at primary level could be a possible solution to the issues of dropouts and the no-detention policy. Classroom mentor Rahul Sharma applauds the government's initiative. "This is a good move. Not only are teachers doing something creative, the entire education system is thriving on ground-level feedback. This has been cathartic for many teachers. They discuss their issues together and brainstorm on possible solutions," he tells Catch. "Classroom transactions happen on the basis of syllabus. Syllabus is taught through textbooks. Texbooks assume that the child knows the content of previous years. But the child is not at par with current syllabus," Sharma explains. "Teaching is a participating process and teachers are the best agents. Through these workshops, the teachers will create supplementary learning material so that child can learn. The process of thinking will slowly set in that translates into teaching the syllabus effectively," he tells Catch. The material created by teachers in these workshops will be evaluated by the mentor teachers. The selected material will then be sent to subject experts who will take the final call on what goes into these SLMs. "So much good quality material is being churned out by the teachers that the subject experts are in a fix on what to select! So we're planning to create a portal and upload the rest of the material online," says V Shailendra Sharma. Renuka Sharma, a teacher and coordinator at RPVV, says, "Till last year, there would be seminars for teachers. Those were one-sided lectures. But this year, it's activity-based. We're listening to their feedback. The response has been great."